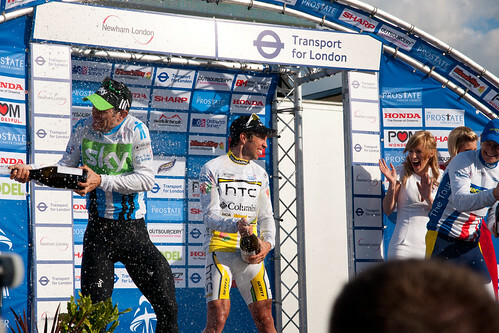 Bradley Wiggins looks impressed with something. 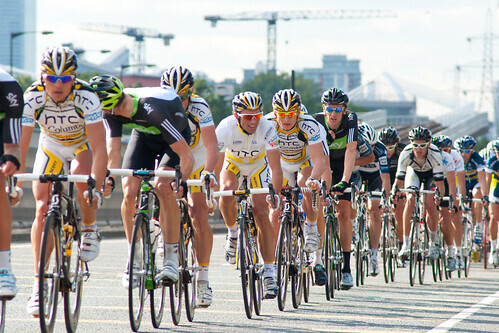 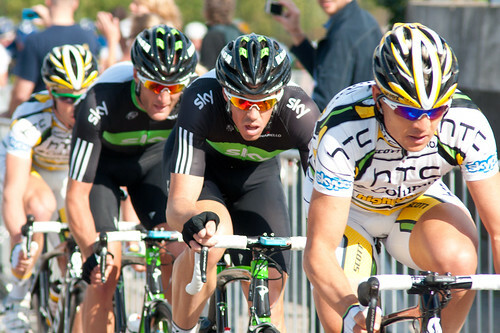 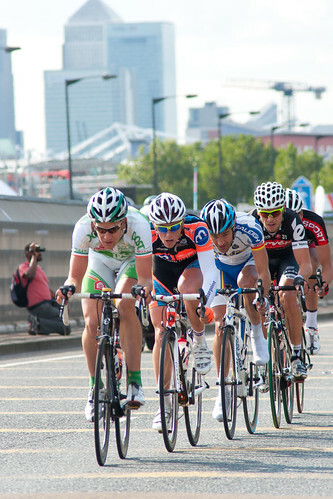 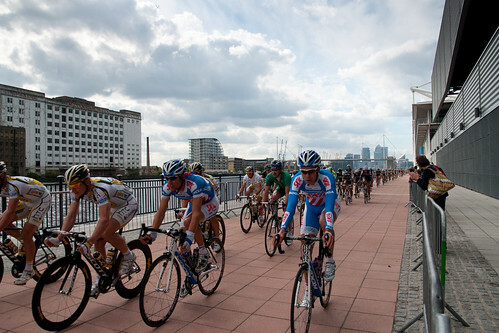 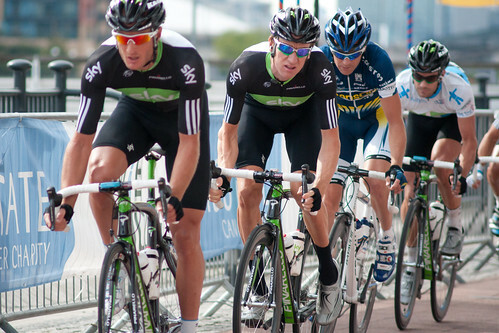 Usually the Tour ends with a scenic multi-lap sprint around the centre of the city, but with the Pope in town this year conducting a mass in Hyde Park and generally travelling through the middle of the city, the concluding stage was shifted out to Docklands near the Excel centre. 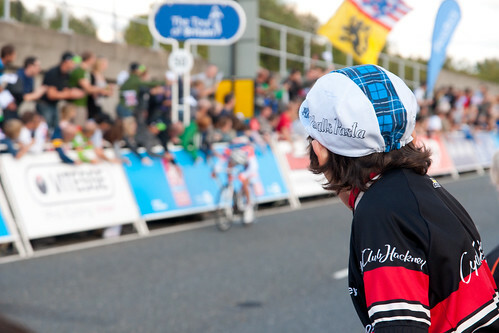 A young fan watches near the lap finish.